With a consistent angle, good bolting, and many small knobs, this route is quite popular. 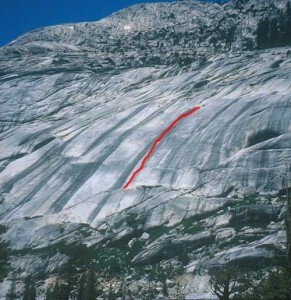 The thin edging of the first 30 feet is harder than the upper part of the climb. In turn, the bolts on the upper part are more widely spaced and harder to spot since they blend into the knobs. Which SuperTopo guidebooks include a topo for Wild in the Streaks?